Do you love cruises? Do you love dancing? 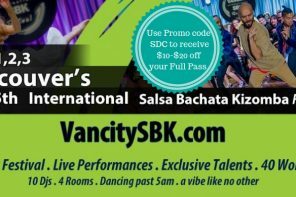 Want to dance with thousands of dancers while getting your cruise on at sea? 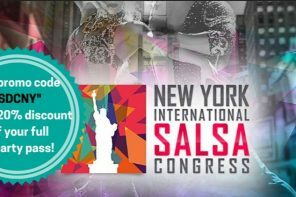 If your answers to those questions is a resounding, ‘Sign me up Captain!’, then we have a special offer for you, the Social Dance Community! Mention the promo code “SDCAVENTURA” when buying your tickets and receive a $50 discount on the purchase price of your cabin. Save that $50 for a nice ‘colorful’ drink or an excursion! 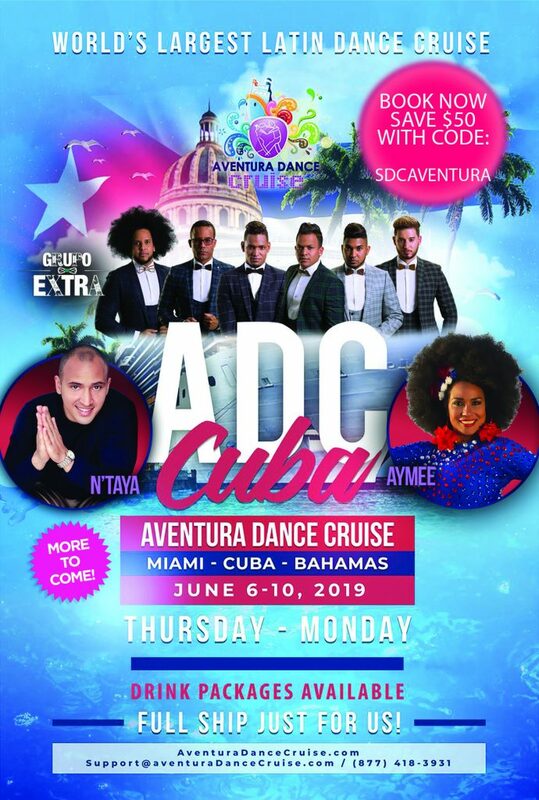 The 2019 Aventura Dance Cruise roster features a trip to Cuba! It takes place June 6th – June 10 (2019). Want a preview of the cruise? Check out the official Aventura Dance Cruise promotional video below! For more information and to book your cruise click the Buy Tickets button below! Don’t forget to mention the promo code “SDCAVENTURA” for your $50 discount!